Co-founder of the upscale Ace Hotel chain, Alex Calderwood, has died at age 47, the company said. Ace Hotel chain started in 1999 with a single refurbished halfway house in Seattle’s arts district. 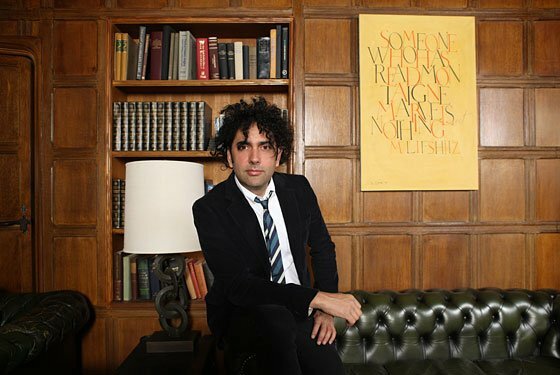 Alex Calderwood died Thursday in London, the site of the company’s newest hotel. No cause was reported. Company employees said they’d been asked not to talk to reporters. The first Ace Hotel was opened in 1999 in Seattle by Alex Calderwood, Wade Weigel and David Petersen, who’d become known in trendy circles for having founded the quirky, upscale Rudy’s Barbershop chain in Los Angeles seven years earlier. The three took over the lease of an old Salvation Army halfway house in Seattle’s waterfront Belltown neighborhood, a densely populated center of the city’s restaurant and arts scene. With intentionally cheap rates, room art by Shepard Fairey – the man behind the iconic Barack Obama “Hope” poster – antique steam radiators, artists’ lofts and cleverly concealed bathrooms (some behind revolving doors), the Ace quickly became a favorite of adventurous travelers. The hotel chain now has locations in New York, London, Palm Springs, California, and Portland, Oregon, and is scheduled to open in Los Angeles in January.